English spoken in Australia is usually referred to as ‘Australian English’, a broad term which encompasses the various types of English spoken by people across the country. Australian English is a unique dialect which evolved from a mixture of sources from the late 18th century onwards, and today the language has characteristic linguistic features which set it apart from English dialects elsewhere. As with any language, lots of variation is possible among speakers of Australian English – differences can show up in things like pronunciation, vocabulary, grammar, and interaction styles, and these differences can occur for all sorts of reasons, including social, cultural, and regional factors. Three major subgroups of Australian English are recognised, all with their own variation: Standard Australian English, Aboriginal English, and Ethnocultural Australian English. People can also move between speaking different types of Australian English, depending on contextual and individual factors. Despite what some people think, English is not the official language of Australia – there is no official language specified in the constitution. But, it is the most widely used language in the country. 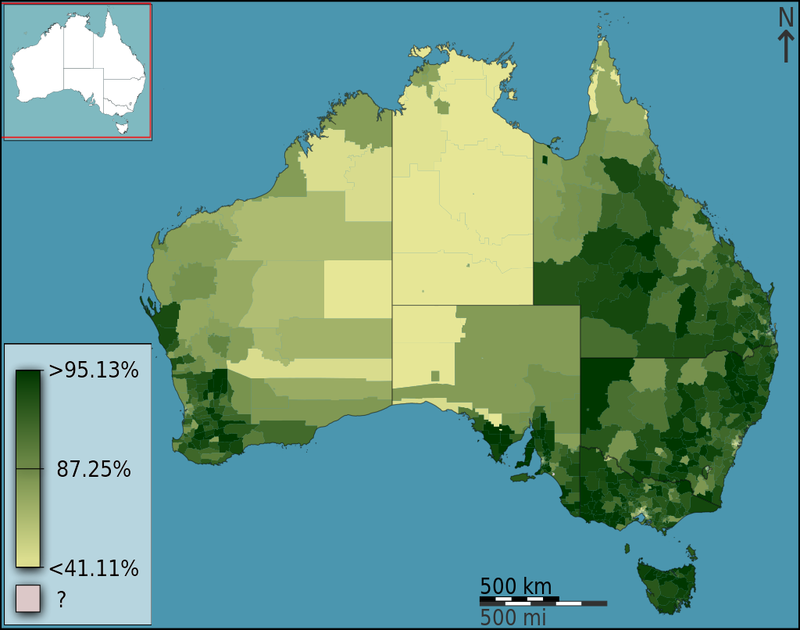 According to the 2011 census, 76.8% of people in Australia speak English at home. Many other people also use English, but in addition to one or more languages that they use at home. There are hundreds of other languages spoken by people in Australia – around 50,000 people speak an Indigenous language at home, and many people whose families migrated to Australia speak languages from places including Europe, Asia and Africa. Some of these languages have made their mark on Australian English, for example in place names, borrowed words, and expressions. From the particular mix of dialects which Australian English was born from, followed by natural patterns of language change and diverse linguistic and cultural influences, Australian English has become a distinctive variety among the Englishes of the world, and continues to grow and change. You can find out more about the Australian English in the pages below on history, accents, vocabulary and grammar.